Here you can grab the picture of our prettiest Maha Waris Wedding 2018. Maha Waris is our one a rising super Pakistani actress and model. She was born in Canada. Basically, she is from Canada and now is living in our big city Karachi. She has completed her graduation degree from York University. She gave her debut performance in a Canadian show Mangoes. Being a Pakistani actress in her first appearance she was a part of dramas serial in which she has performed a number of roles like in Doosri Biwi, Maan, and Guriya Rani etc. She has been a part of married life with one of her Canadian best friend back in March 2018. Waris two special days makeup were done beautifully by Ayesha Babar Makeup Studio, while her most special day was dressed y Naz Fashion Bug. You can see here some photographs of her wedding ceremony. Her photographs were taken by many different photographers in which some big names are like Distrilycs by Fatima, Distrilycs by Abdullah, Distrilycs by Heyssum and Usman photography. 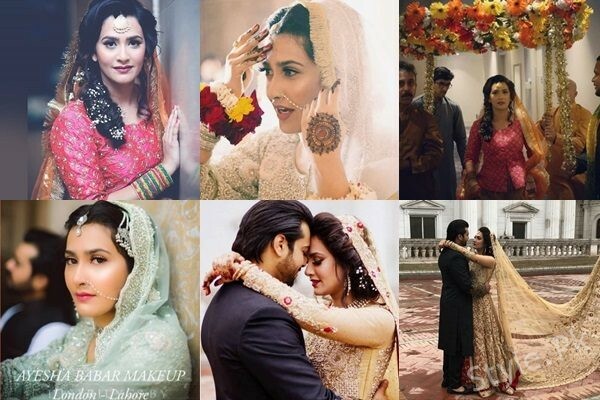 Let see some pictures of Maha Waris wedding in which she is looking gorgeous. Keep in touch with us to get more and more information about the celebrities’ pictures.